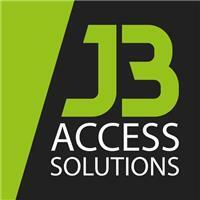 JB Access Solutions - Garage Doors based in Lighthorne, Warwickshire. We are a local family run business based in Leamington Spa/Warwick. We offer supply and install, repairs, servicing and sales for all types of Garage Doors, Automated Gates, Security Shutters and Front Doors. With a focus on safety and longevity and ensuring the customer is fully satisfied, we are your first port of call for your access needs.